Turning a 60 litre Sankey keg into a 85 litre one. 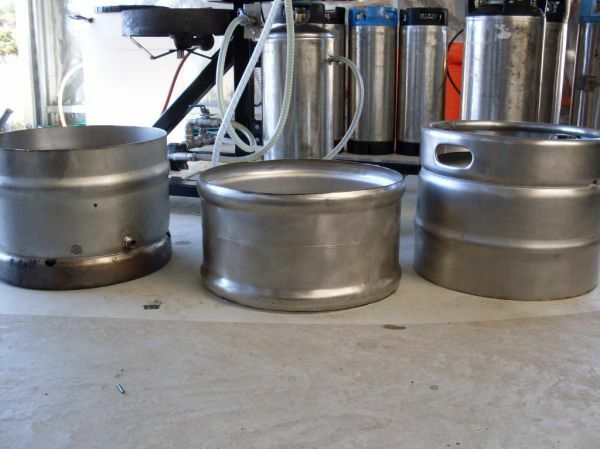 The need to brew triple batches to fill 3 corny kegs I found the 60 litre keg was a tad to small which didn't allow for evaporation and head room for hot break, this is how I approached the problem. I cut the middle out of a damaged keg scavenged from an apple orchard.